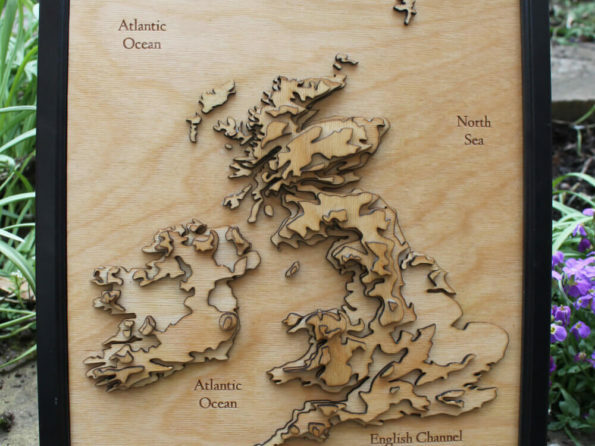 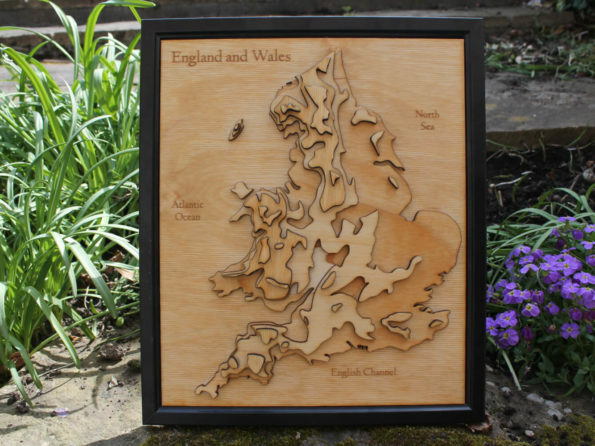 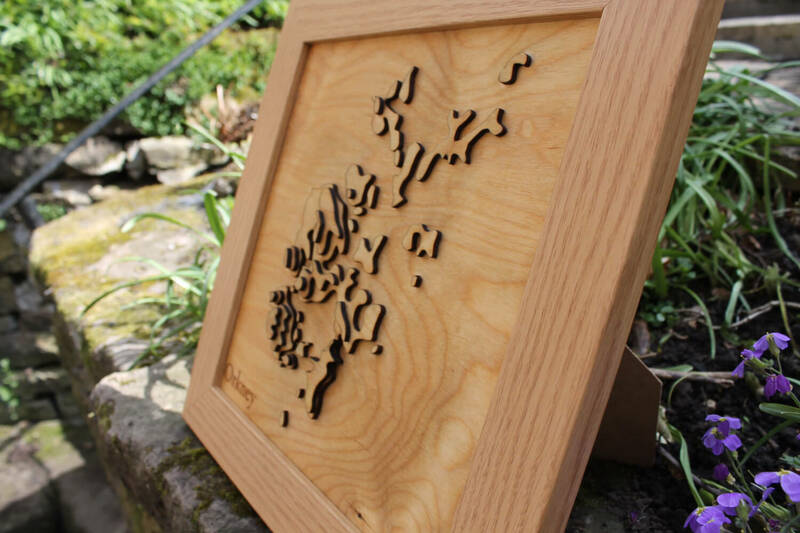 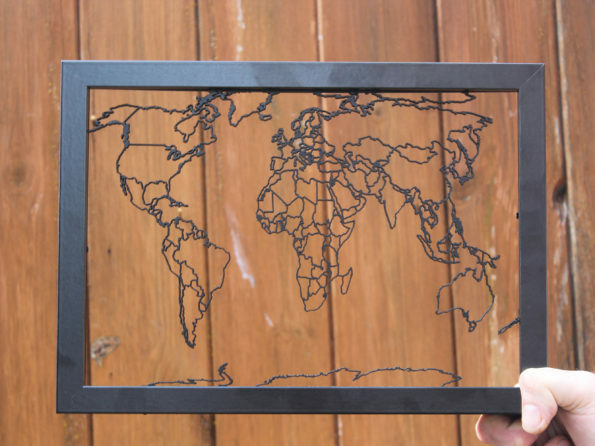 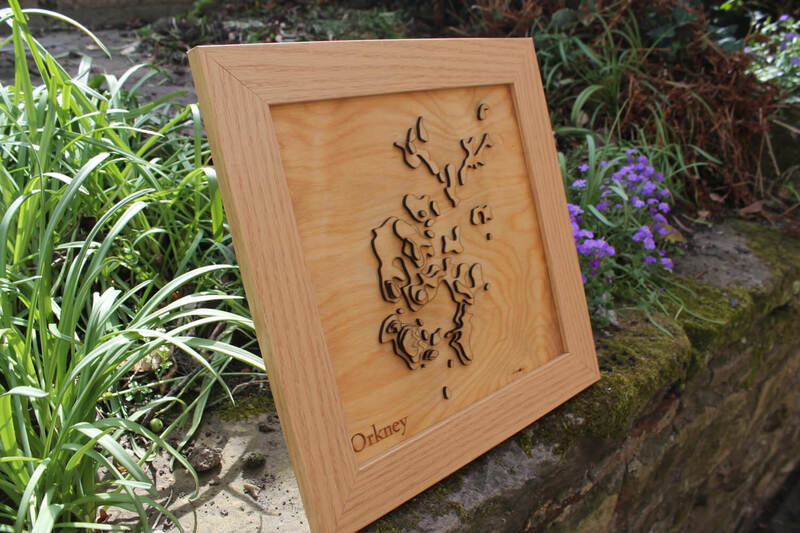 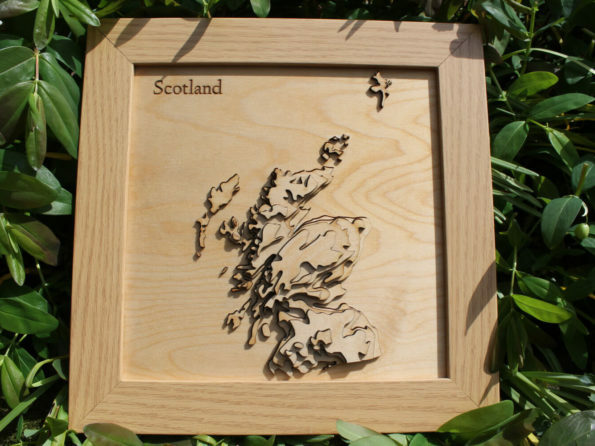 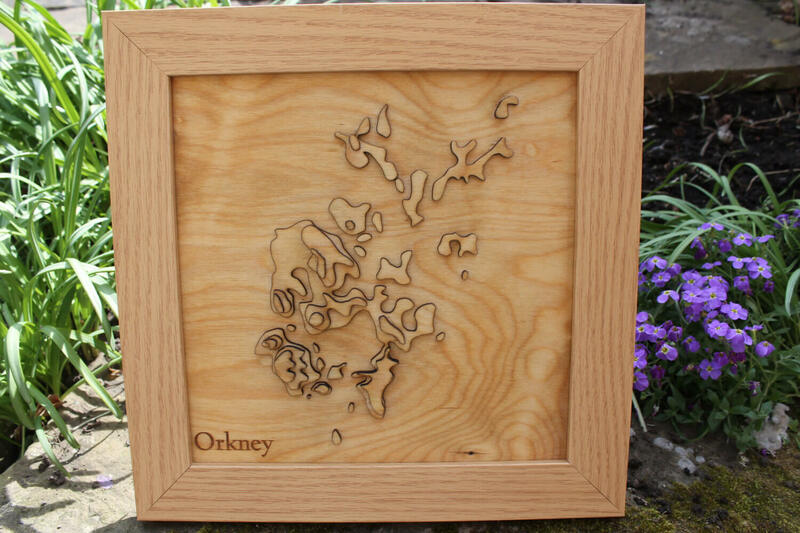 This is a 3D map of the Orkney Islands, Scotland laser cut on birch wood. 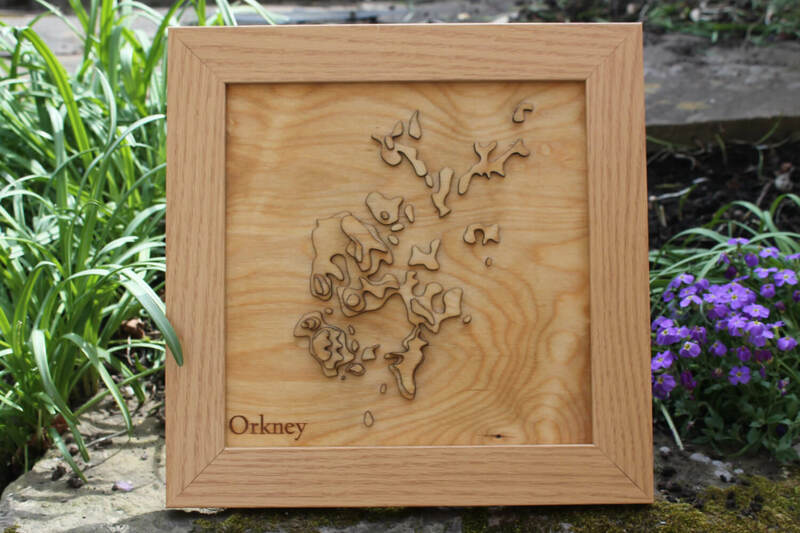 This item uses five layers to create a 3D representation of the magical Orkney Islands. 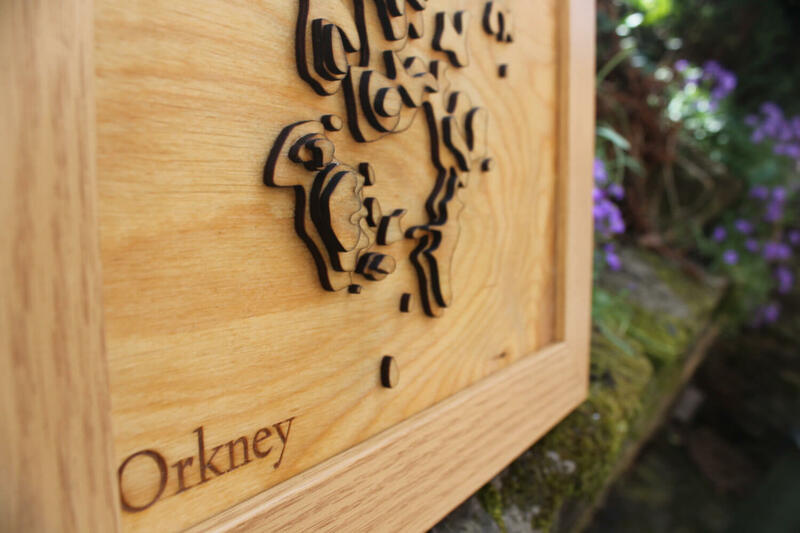 The "Orkney" is Laser Engraved on the bottom layer.